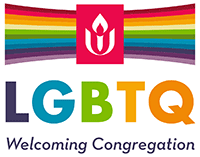 Central Unitarian Church holds worship services on Sunday mornings beginning at 10:30 am. Services last about 60 minutes and are followed by Coffee Hour, where we enjoy refreshments and conversation with friends and visitors. Services led by our minister and members of the congregation, take place year-round. During the hottest days of the summer, we shift services from our main Sanctuary to a smaller, air-conditioned Assembly Room. Services open with the ringing of a bell, a joyful hymn and words of welcome from our service leaders. The young people of our congregation typically join their elders for the first fifteen minutes of service, and this time is reserved for such intergenerational activities as the sharing of joys and concerns and stories for all ages delivered by the minister or director of religious education. After the young people go to their classes, the minister provides a meditative reading to draw the congregation into the spirit of worship. The sermon is the high point of each service and may cover topics from living a spiritual life to social justice, from theology to the understanding of current events in a religious context. The service ends with announcements about the many activities and projects of our active congregation. Music from our house musicians is a vital part of our weekly celebration of faith. A musical interlude is a central part of each service. The congregation sings hymns both traditional and modern. 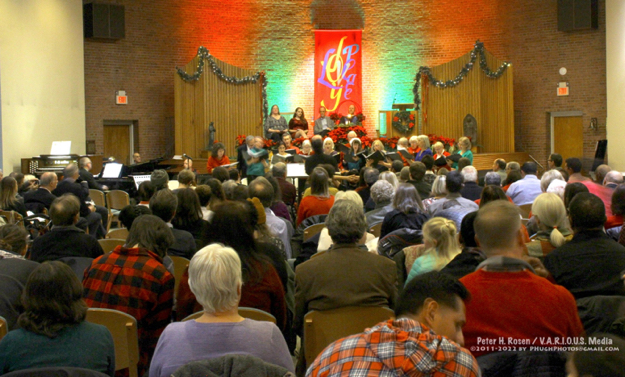 Our choir performs many times per year and we enjoy performances by a range of guest musicians. The Christmas Eve candlelight service is a favorite at CUC. We are a kid-friendly congregation ready to help with the sometimes challenging job of bringing youngsters to a worship service. Our religious education classes, from pre-Kindergarten through 10th grade, welcome visitors in addition to regular students. To arrange a visit, simply check in to the Religious Education office and ask to speak with the Director. If your infant gets fussy during a service, you may retreat to the lobby at the rear of the sanctuary, where a loudspeaker will allow you to hear the sermon while caring for your child. Our classes and Youth Group extend to the senior year of high school with learning, sharing and faith development appropriate to each age. Not sure what Unitarian wear to service? Informal but neat dress is welcomed as a sign of respect for our house of worship and each other. To ask questions or offer comments on Sunday worship and music and CUC, email worship@cucparamus.org. Help make Sunday mornings happen by volunteering for the Welcome Team, to light the chalice, to contribute flowers or host coffee hour by completing our online form.